​This is such an exciting journey for your family. I want to help you have the birth experience that you dream of! My goal is to empower you to be in control of your birth story and experience. With education, support and guidance I can help you feel confident about the upcoming birth of your baby. Even though this is an exciting time, it can also be filled with feelings of anxiety or fear. My hope is that I can help ease your fears and make this an empowering experience for your family. My role is also to help educate you about your choices and encourage your voice to be heard. 1 - 2 postpartum visits (depending on need) in the home to discuss any breastfeeding or postpartum issues, and of course visit with your beautiful new baby! Placenta Encapsulation is the process in which the nutrient rich placenta is prepared for ingestion after the birth of your baby. Women report having more energy, better milk-supply, and less postpartum mood disorders when taking their placenta capsules after birth. I am trained as a Placenta Encapsulator through IPPA (International Placenta and Postpartum Association). I have completed my Blood borne Pathogen and Infectious Control for Placenta Encapsulators Training as well as having a Washington State Food Handlers Card. TENS (transcutaneous electrical nerve stimulation) Units are a drug-free, portable, and non invasive pain management tool that are a great option for pain management in labor. The unit works by sending electrical nerve stimulation through electrodes that are attached to the machine. It doesn't take away the sensation of contractions, but essentially interrupts the pain signals your brain is receiving, reducing your awareness of them or producing endorphins that allow you to cope better. I offer the use of my TENS Unit for Birth Doula Clients only at this time. The use of the TENS unit is an additional $30 fee to my Birth Doula Services, and includes an individual set of electrode pads. I create pregnancy teas that are tailored to each trimester of pregnancy. These loose leaf teas are made with herbs that are specially prepared with the unique needs of pregnant women in mind. First Trimester Tea Blend- Assists in preventing nausea and sleeplessness. 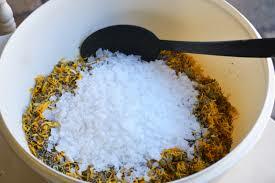 Continues ingredients such as peppermint, ginger, rose hips, and chamomile. Third Trimester Tea Blend- Helps strengthen and prepare the uterus for birth, reduce swelling and fluid retention. Contains ingredients such as red raspberry leaf, nettle, rose hips, alfalfa, and dandelion. ​Breastfeeding Support Blend- Encourages breast milk production after the birth of your baby. Contains ingredients such as nettle, fenugreek, and fennel. Buy a set of each tea blend (4 bags) for $32.00 This makes a great gift for a pregnant mama!!! ***Disclaimer***These products are not intended to treat, diagnose, cure or prevent any disease. It is not intended to represent or replace professional medical advice.